Home > LOOKING FOR SOMETHING CUSTOM? Do you have a favorite quote you'd like us to design? Can't find the right words? Visit our WORDS & MORE WORDS board on Pinterest! style you like and we'll design it for you. 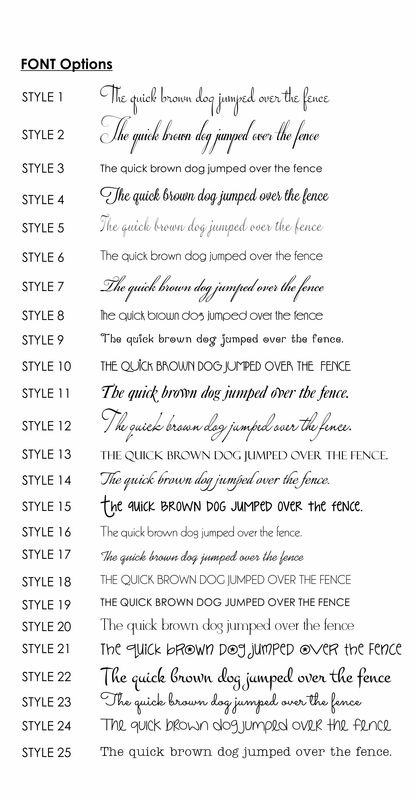 Here's a few font options. send it along and we'll customize something just like it!